Customer Picture Number 475 Selected. Cool Car decals applied. 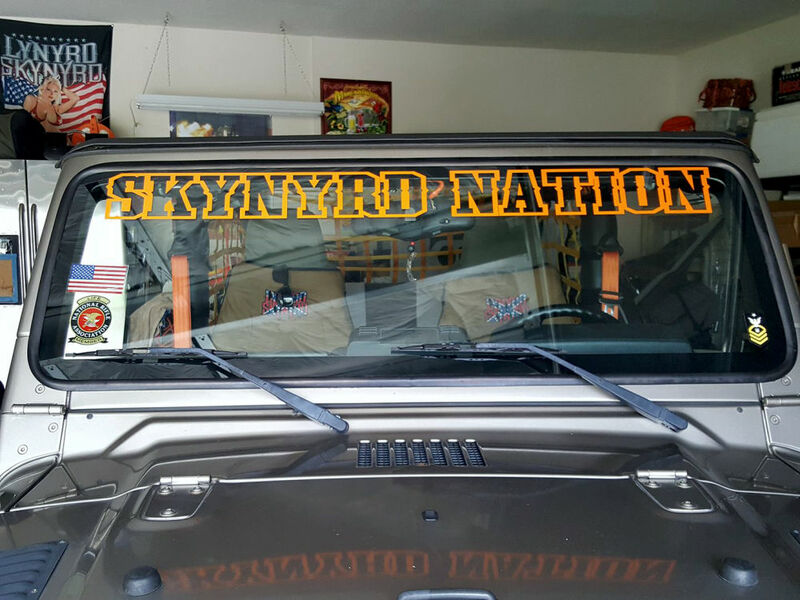 Ken's Jeep with custom orange windshield banner, using the shadow option #1 for his decal which make the letters hollow.